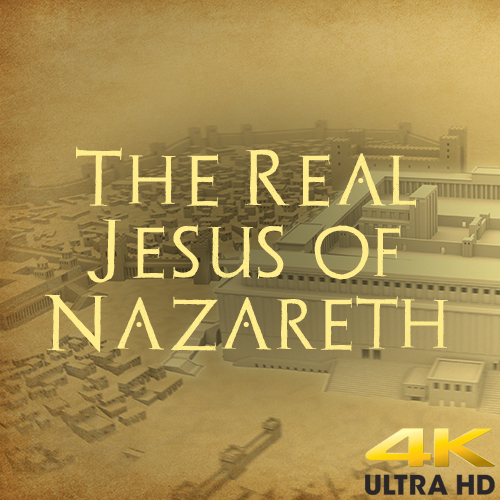 Today we have the pleasure of announcing our work on the upcoming TV series The Real Jesus of Nazareth. The new series, airing this weekend, will follow distinguished actor Robert Powell as he journeys back through the Holy Land, in an adventure inspired by his role in the 1977 mini series, Jesus of Nazareth which celebrates the 40th anniversary of its release this weekend. The original series was a British-Italian production which dramatised the life, teachings and resurrection of Jesus Christ with an all star cast including Peter Ustinov, James Earl Jones & Laurence Olivier. The series was highly praised and received multiple Emmy and British Television Award nominations. This was an exciting project for us as it is the first project we’ve incorporated native 4K 3D rendering into our pipeline. This gave us the challenge of producing pristine native 4K images on the same schedule as any average HD production - generating over four times as much fidelity as a standard HD series. The use of 4K graphics has allowed us to help bring this incredible story to life with rich detail and outstanding clarity. The show is produced by Impossible Factual and broadcast by the Smithsonian Channel across North America from Sunday the 16th April onwards.